A feeling identified by the sensation of spinning, Vertigo is actually a symptom that people often refer to as the dizzy spells. The sensation is really a feeling that makes a person feel like their environment is spinning even when their own body isn’t moving at all and is among the most frequently reported types of dizziness. It has been reported that it may even be initiated by lowered blood flow to brain’s base and sometimes, bleeding within the backside of the brain (called cerebellar hemorrhage) may prompt the sensation. In fact, the latter condition is characterized by vertigo and additional symptoms include a headache, inability to see in the direction of bleeding. As a result, the eyes look only away from the side of bleeding within the head thus making walking incredibly difficult. Often, it is one of the multiple sclerosis’ symptoms while injury and trauma to head and neck may also trigger the issue. Less frequently occurring causes involve stroke, brain tumors, migraines, etc. Another type of vertigo, Physiologic vertigo, may even occur due to being exposed to a motion for a longer period of time such as being in a vehicle or following the spinning motion with your eyes. Other reasons may include toxin exposures such as excessive alcohol or aspirin. Symptoms may occur while the patient is in different positions, for instance, some may feel like spinning when they turn during sleeping or get up from a sitting position, etc. Diagnostic tests for vertigo are performed to draw Nystagmus so the exact condition can be differentiated since the spinning may also be a symptom of something else. Problems like disequilibrium presyncope, hyperventilation syndrome, etc may also cause dizziness and loss of balance and other psychiatric issues may trigger lightheadedness so certain tests of the vestibular system like caloric reflex test electronystagmography (ENG), rotation tests, Dix-Hallpike maneuver, head-thrust test, computerized dynamic posturography (CDP), etc are performed. Your physician may also conduct a CT scan or MRI’s to get a precise diagnosis along with specific tests for the auditory system function. Is Vertigo the fear of heights? Alfred Hitchcock is partially to blame for this blatant misunderstanding that his iconic film Vertigo set in motion. The term Vertigo refers to the sensation of spinning that is felt by the brain without any bodily movement. This may be a symptom that a patient with severe fear or phobia of heights may feel but in such a case, the suitable term would be Acrophobia. Not all cases are aggravated and some mellow down with time and may even improve on their own. But in the case of repeated occurrences (for instance, faced by people with Ménière’s disease), treatment and therapy to prevent vertigo from impairing functioning are vital. 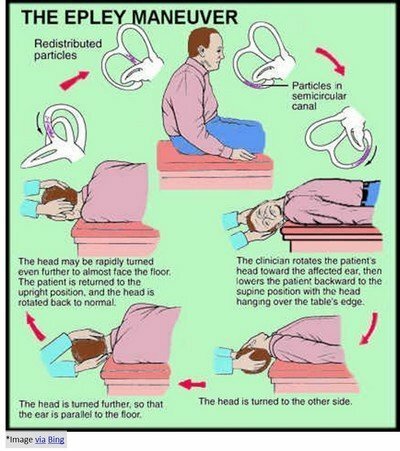 Numerous treatments such as the Epley maneuver that involves a lot of systematic head movements are recommended for the treatment of BPPV. Certain medicines like prochlorperazine and those of antihistamine natural are often used for those suffering from initial stages of vertigo. 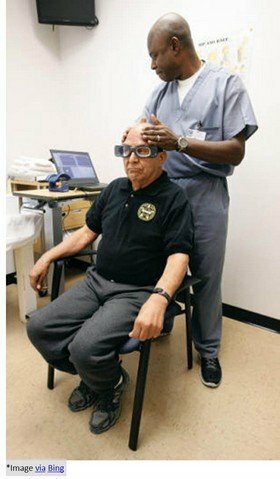 Vestibular rehabilitation training (VRT) that comprises several exercises to help with dizziness, balance and coordination issues has been reported to help vastly. Definitive treatment will further be recommended on the primary underlying cause that only a proper diagnosis will reveal. Dietary and surgical solutions may be included in a patient’s overall routine to assist in better coordination and balance to facilitate quality functioning. Anticholinergics, Anticonvulsants, Antihistamines, Beta blockers, Corticosteroids, etc are used for some general drug treatments that vertigo patients are offered. During initial periods, the condition may be mild or may only occur for short periods but it is wise to seek professional help if one finds their mobility and functioning impaired due to the symptoms.